Everything in the Christian church is so ordered that we may daily obtain full forgiveness of sins through the Word and through signs (i.e., the Sacraments) appointed to comfort and revive our consciences as long as we live. These words from Luther’s Large Catechism are not only fitting words for us to hear as we celebrate the 500th anniversary of the Reformation this year, but they are also necessary words to take to heart and actually put into practice, especially in light of the present state of turmoil and uncertainty in our church—aging and declining congregations, financial difficulties in our synod and districts, and so forth. The list grows longer every day. Why should you even bother going to church? One reason and one reason only: to receive forgiveness of sins. This is why our district is now in the process of looking at other ways of ordering things so that people in congregations which can no longer financially support a pastor might continue to “obtain full forgiveness of sins through the Word and through the Sacraments” — dual and tri-parishes, a deanery model (thanks to the task force from the Central District for their report on this), circuit riders, etc. This is why we are attempting to deal with so-called “non-calling vacancies” — the concept and idea of which is dis-orderly and contrary to Article XIV of the Augsburg Confession which states that “no one should publicly teach in the Church, or administer the Sacraments, without a rightly ordered call.” This is why our district’s Board of Directors has submitted an overture to the upcoming convention of our synod to deal with the uncertainty and lack of order concerning the status of retired pastors. Our synod, too, would do well—in the midst of our current restructuring process and the countless hours and dollars that have been spent on this matter—to remember that “everything in the Christian church is so ordered that we may daily obtain full forgiveness of sins through the Word and through the Sacraments.” This, after all, was the guiding principle in how the first Lutherans wanted their confession to be put into practice and a proper structure implemented, as set forth in their 1545 report entitled The Wittenberg Reformation: “Proper Christian Church Governance consists chiefly in these (six) parts: First, in proper pure doctrine. Secondly, in proper use of the sacraments. Thirdly, in preservation of the preaching office. Fourthly, in preservation of proper discipline. Fifthly, in preservation of necessary schools. Sixthly, in fitting provision (for ministers and churches).” This is the underlying principle behind Walther’s aforementioned essay on the Duties of an Evangelical Lutheran Synod. Rev. 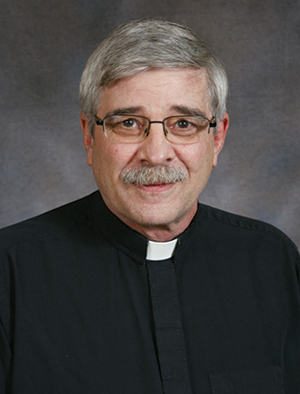 Timothy Teuscher is First Vice-President of the East District of Lutheran Church–Canada.